Matt Karjalahti, Broker and owner of RE/MAX Partners, got into real estate in sort of an unexpected way: He got angry. After three poorly executed real estate transactions, a light-bulb went off. He could do better. He would do better. It was a call to action. The Minnesota native has worn many hats — from tow truck driver to construction foreman — but none have fit him the way real estate has. Matt points to his complete immersion in the structure and ethics of the business as to how and why he became the best in the business. Matt began his storied real estate career at an independent affiliate. He spent three years learning the real estate ropes, but more importantly, getting to know the rich tapestry of people who make up the community. By the time year two of his three year tenure with Iowa Realty rolled around, he was the organization’s #1 seller and was the first to subscribe to digital marketing in an old-school industry. RE/MAX Partners opened their doors in 2014. Their combined goal was to to provide a seamless, ethical transaction for their clients. He maintains that their level of diligence and representation has made real estate better not only for the entire MLS community, but for Grinnell and its surrounding communities, as well. 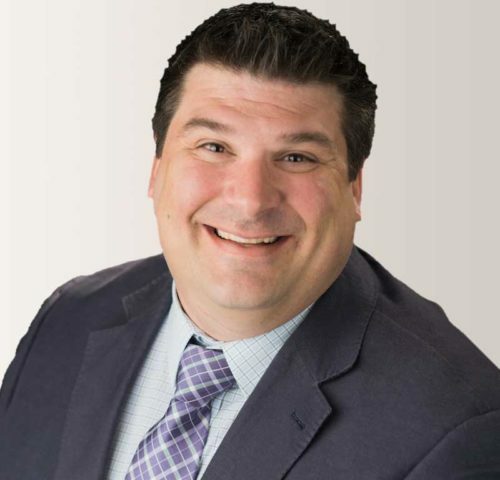 Matt became the sole owner and broker of RE/MAX Partners in December of 2016, and has since actively recruited observant agents who are committed to the same “representation before profit” credo the organization was founded on. It’s important to him to provide his agents with a livable wage and ongoing education in order for them to maintain a transparent, ethical partnership. Matt isn’t just a trailblazer in the real estate agency, he’s also a committed public servant. It’s been important to him that RE/MAX Partners gives back to the community, whether it’s through Grinnell High School football team sponsorship or donating to Grinnell Regional Medical Center and Grinnell College. He also hosts a “Right at Home”, a non-compensated weekly radio show on KGRN that focuses on real estate, review trends, weekly numbers, legal updates, and discussions with other local experts like city managers and building inspectors. “I don’t think you can be an effective leader in business and not be connected to the community you live in,” he says. RE/MAX Partners was voted 2017 Business of the Year by the Grinnell Chamber of Commerce, and Matt himself was the first-ever Grinnell realtor to be honored with the Iowa Association of Realtors Diamond Achievement Award. It’s two of many awards he’s amassed in the last few years, but Matt maintains that although it’s great to be honored, the real satisfaction is knowing he and his team go above and beyond to represent clients. Whether you’re buying a home or selling one, Matt is your one-stop shop for your next step in life. Call him today at 641-260-0672. Outstanding location! Incredible view! Over 100 Feet of uninterrupted shoreline at Holiday Lake!! Drive into the attached 2 car garage. Walk in to the open, bright, eat-in kitchen and into the 1st floor great room!! Through the sliding glass doors to the massive, high view deck overlooking Ford's bay!! Main floor master suite with private deck access.